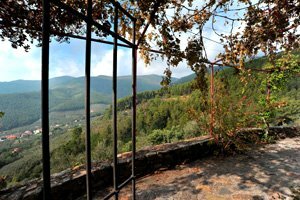 Situated in panoramic position near Buti, a medieval village on the hills between Lucca and Pisa, the farmhouse (8 sleeping accommodations) is just a few kilometres from the beaches of Versilia. Important Tuscan cities of art, including Pisa, Lucca, Volterra, San Gimignano and Florence, are within easy reach for pleasant one-day trips. 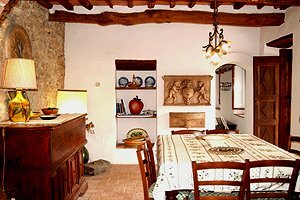 The 17th-century building is surrounded by pinewoods and olive groves and enjoys the utmost privacy. 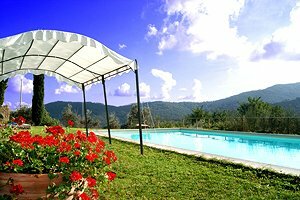 The wide panoramic terrace at the front of the house is furnished with table and chairs for eating al fresco. 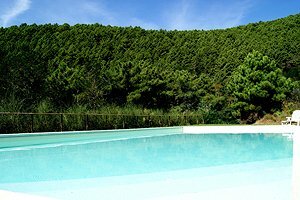 In the lawn next to the building lies the private swimming pool (14x5.5 m; depth: 1.5 m), which is at the complete disposal of guests. 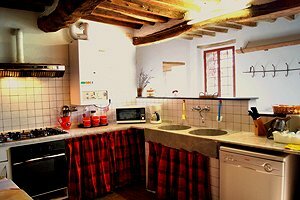 The two-storey building (about 180 square metres) offers 4 double bedrooms and 4 bathrooms. 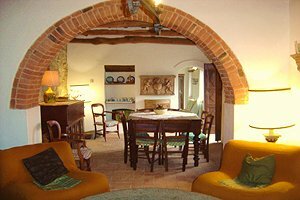 On the ground floor are the fully equipped kitchen, the dining room, the living room with fireplace and a twin-bedded room with dedicated bathroom. 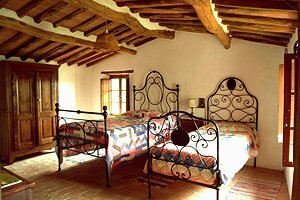 The first floor composes of two double-bedded rooms with wrought-iron beds, one twin-bedded room with dedicated bathroom, a bathroom with bathtub and a bathroom with shower. 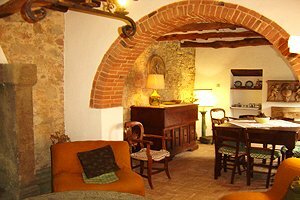 The farmhouse has been renovated with an eye for the original architecture and is furnished in the typical Tuscan style. 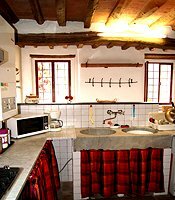 The farmhouse is provided with private swimming pool, garden, car park, Internet connection, dishwasher, electric oven, microwave oven, freezer and washing machine. Shops and services of any kind are in Buti, about 1.5 kilometres from the estate.